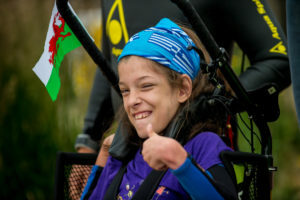 Eleven year old Poppy Jones from Abergavenny has achieved her dream of competing in a triathlon with her dad, Rob. 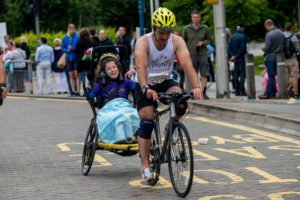 On 26th June 2016 Poppy Jones and her dad Rob took part in the Cardiff Triathlon together to raise money for Cerebra. 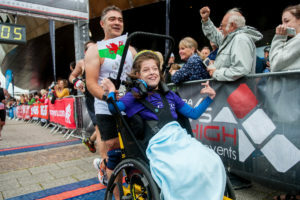 But they faced an additional challenge – eleven year old Poppy has cerebral palsy and Rob pushed and pulled her around the course using custom made equipment specially designed by our Innovation Centre. 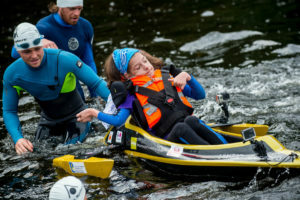 Eleven year old Poppy was born with quadriplegic cerebral palsy and chronic lung disease. She can’t sit, stand, roll or support herself and life is a daily challenge for her. She has suffered many health problems over the years and there have been times when doctors didn’t think she would pull through. Dad Rob explains “there have been times when it has been very touch and go and we feel very lucky that she has been with us for the last 11 years”. Poppy takes to the water. But having a life-limiting condition doesn’t stop Poppy having fun. Poppy is a determined character with a great sense of humour. Her sense of adventure knows no bounds. She is a real thrill seeker and adrenaline junkie and has a true competitive spirit. Rob, meanwhile faced a challenge of his own in getting fit for the event. He’s never taken part in a triathlon before and isn’t a regular swimmer, runner or cyclist. At Christmas he could only manage two lengths of the local swimming pool and is using his ancient bicycle to train. 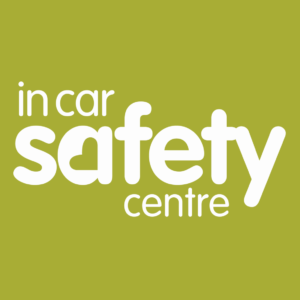 The project has been a huge challenge for Cerebra’s Innovation Centre who designed and made the equipment that Rob and Poppy needed to take them to the finish line. We would love it if you could support Rob and Poppy! If you would like to donate please visit www.justgiving.com/Rob-Jones42.